The latest release </3 by SHI is out today in all major online outlets, and this five-track EP includes Shattered Backbone in addition to four other delights. Beneath the bitter-sweet coating of bright and airy vocals, this atmospheric and soulful confection of electro trap is bursting with the flavour of analog beeps and bells, with a dusting of organic percussion. If you liked what you heard in our playlist back in May this year, then now’s the time to download this new box of treats! Also worth checking out is the latest from Brazilian trance producer Insonic as he racks up the plays in Spotify. With Etcraft, the pulsing bass drum anchors a sonic breadth that hones the sheen of psi-fi, biting dub scratches and the melodic adventures of trance into a wicked high-energy form. Dark arpeggios and uplifting chord progressions are peppered with playful fx in this epic trance outing. Finally, Maze Car has dropped the two tracks for his next single into our own Voxel Records release process, so this will be on its way to the stores next week. This project has seen our resident producer experimenting outside the box with the analog gear that furnishes the Red Six studio, combining retro computer games with flavours ranging from quirky alt-pop to complextro. These tracks will be FREE to download from selected stores until the next project is completed – so watch this space for the release date! 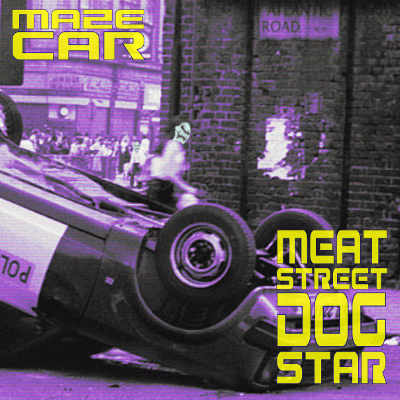 MEAT STREET DOG STAR – the new single by Maze Car is OUT NOW and available for streaming or download from your favourite station. This release presents the results of Maze Car’s experiments in fusing retro 8bit sounds with high-tempo dubtronica grooves and ska-flavoured guitar. Yum. The new single Meat Street Dog Star by Maze Car will be released on July 14th! Only two tracks, but a flurry of speedy beats and bold synths, with aromas of 8-bit dnb. Keep tuned to the newsletter for the chance of a free download! The latest Voxel Records Newsletter is out now – read about the upcoming release from Maze Car, and listen to some more great new tunes we have discovered by Ping Pong Club, LoveBOX and Bufinjer! Welcome to Voxel Records News. This is the place where we publish anything we find that may be of interest to our followers. Check back here for reviews of new music, our regular newsletter output and the latest output from our artists.